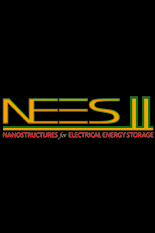 The top feature article of the DOE’s EFRC-focused newsletter, Frontiers in Energy Research, mentioned NEES. The article, “Radiation: A Driver of Science,” mentions NEES’ use of electron microscopy in imaging battery processes at the nanoscale in the context of a review of radiation-based instruments and techniques. Continuing a tradition of NEES contribution to DOE science communication efforts, Emily Sahadeo, a grad student of NEES PI Sang Bok Lee, contributed an article to the newsletter. She describes using MoS2 catalysts to improve hydrogen production in her article “Tailoring Efficiency: The Molybdenum Disulfide Story”.